[...] For a society to base its financial system on alchemy is a poor advertisement for its rationality. 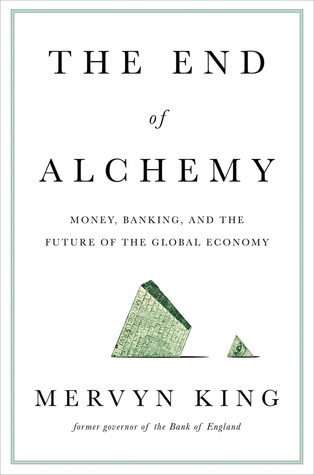 The key to ending the alchemy is to ensure that the risks involved in money and banking are correctly identified and borne by those who enjoy the benefits from our financial system. the system of 'fractional reserve banking', under which banks create deposits to finance risky lending and so have insufficient safe cash reserves to back their deposits. The elimination of fractional reserve banking was a proposal put forward in 1933 as the 'Chicago Plan'. [...] Someone buying a meal in a restaurant might use a card, as now, but the result would not be a transfer from their bank account to that of the restaurant; instead there would be a sale of shares from the diner's portfolio and the acquisition of different shares, or other assets, to the same value by the restaurant. [...] There would be no unique role for something called money in order to buy 'stuff'.